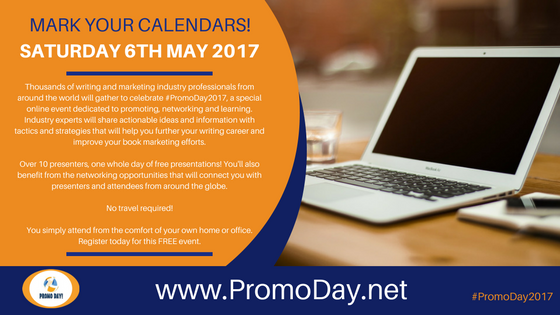 Promo Day 2017 will take place on Saturday 6th May 2017. As always, it will be a whole day packed full of opportunities to promote, network, and learn. 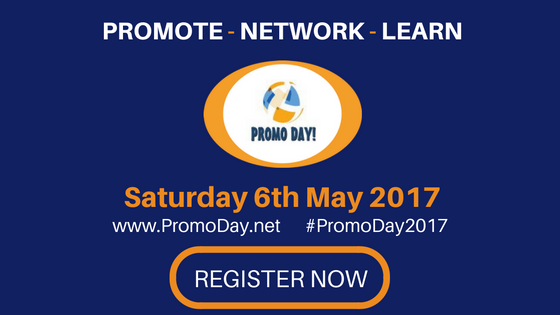 The official hashtag for the event is #PromoDay2017. Got a suggestion for a webinar topic you'd like to see at the 2017 event? Got a suggestion for a new feature you'd like to see included in the event? Was there something you particularly liked/didn't like about past events? Leave a comment below and give your feedback so we can make 2017 the best event yet!